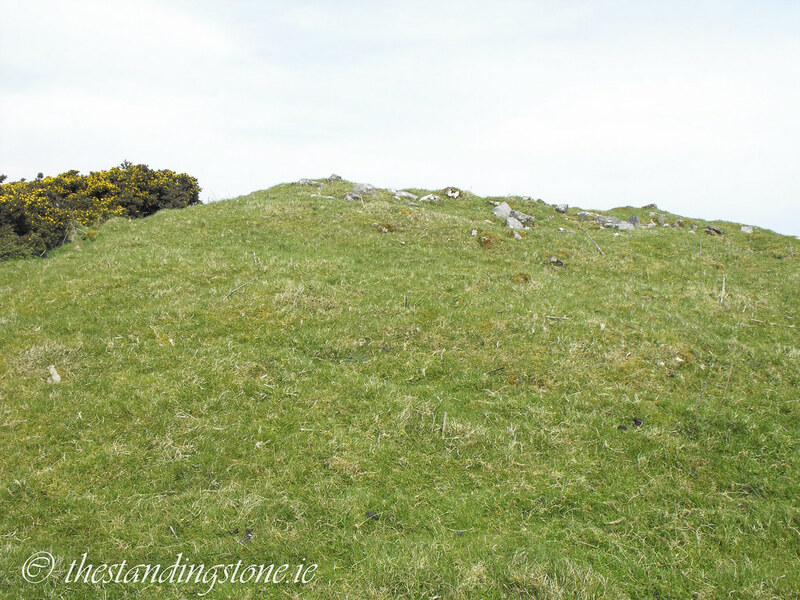 The Standing Stone: Cairn G, Carnbane West, Loughcrew, Co. Meath. 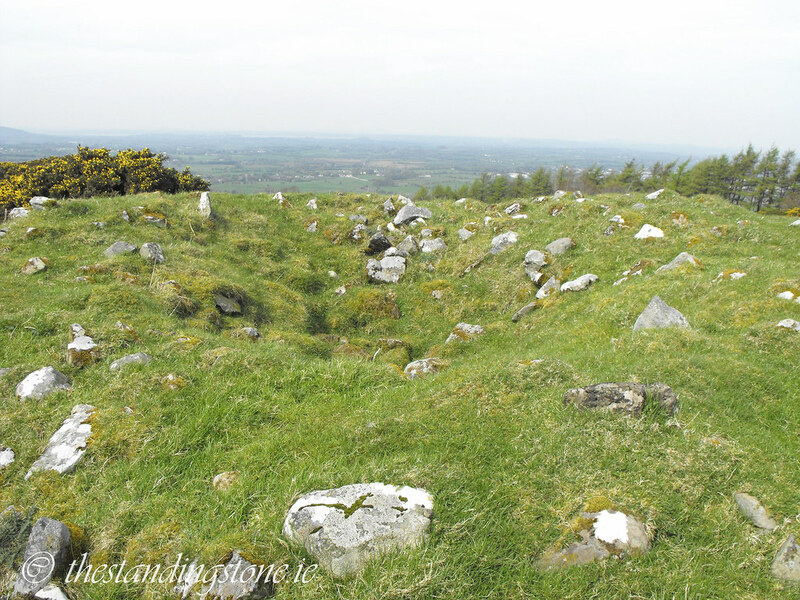 Cairn G, Carnbane West, Loughcrew, Co. Meath. 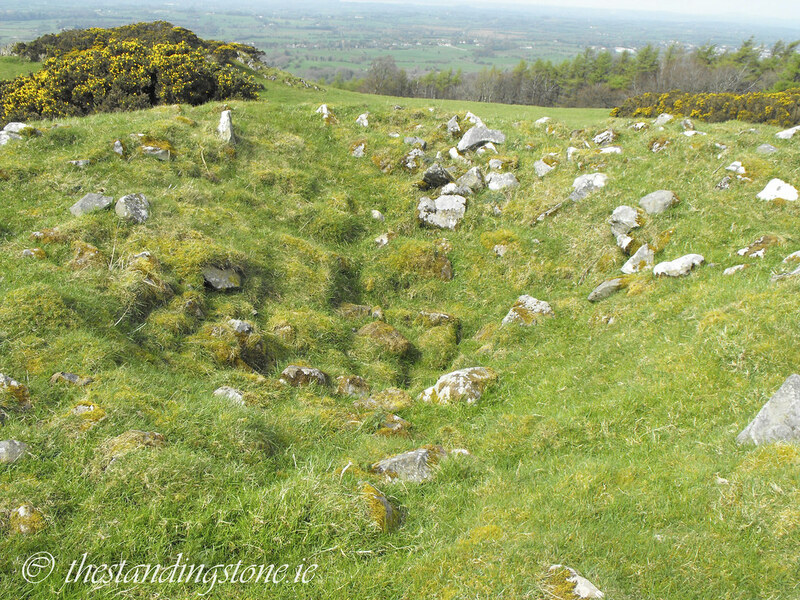 Location – Next to cairn F, both of which are located midway between cairn D and L.
Description and History – Little remains of this tomb apart from a mound of stones which has been robbed out. There are no remains of a chamber inside. It is wedged up to cairn F and the kerb flattens to make sure they do not connect. This is intriguing to me and I wonder what the thought was behind placing them so close that they had to flatten the kerb to avoid contact. Is there a reason for this, or is it merely poor design? Cairn G is slightly larger than cairn F with a diameter of 20m and a circumference of nearly 60m. Difficulty – Hard to miss if you are at cairn F.